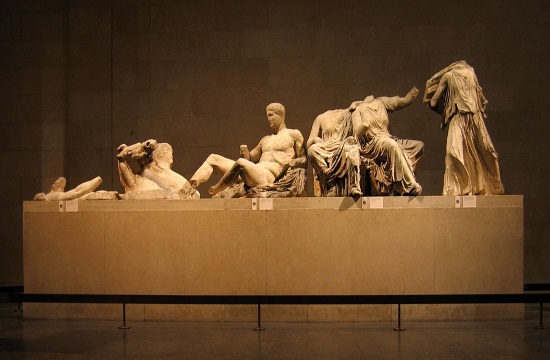 The President of the Robert F. Kennedy Human Rights advocacy organisation, Kerry Kennedy, met with the President of the Hellenic Republic Prokopios Pavlopoulos and expressed her support for the restitution of the Parthenon sculptures currently in the British Museum, greekcitytimes.com reports. “In the extremely turbulent world we live in, with heinous crimes such as those in New Zealand and the Netherlands, we, the Greeks and I personally, join our voice and forces with yours to defend, “urbi et orbi”, people, democracy and our culture against hideous acts that are tantamount to crimes against humanity,” Pavlopoulos noted, praising the work done by the group to defend human rights. “This is the reason why it is a great cause of sorrow – and even frustration – that the authorities in Great Britain insist on covering up the crime of theft committed by Elgin and to tamper with historic truth, without the required respect for our civilisation and its symbols,” Pavlopoulos continued. “It is easy for one to blame Lord Elgin but he has been gone for a while. This is an ongoing and perpetual crime, which is being perpetuated by the British government. It is hard for the specific democracy to continue to claim it is liberal while it continues to commit and perpetuate such a crime against Greece,” she pointed out.